I was very pleased to read the Department of Corrections’ new journal called “Practice”, which arrived this month as a nice surprise in our mail. The journal includes ten informative articles from scholars, trainers and advisors sharing their best practice in working with offenders. In his introduction, Corrections Chief Executive Ray Smith explains that the purpose of the journal is to invite innovation and encourage professionalism – essential ingredients to help the Department achieve its goal of reducing re-offending by 25 per cent by 2017. Reading Ray’s description of what’s needed reminded me that innovation and professionalism also underpin the two prison art awards that Arts Access Aotearoa and the Department of Corrections will present to this year’s recipients on 30 July at the Big ‘A’ Awards ceremony in Parliament. In many prisons up and down the country, there are staff, volunteers and contractors who offer innovative arts activities and programmes that turn prisoners on to positive creative thinking that can help them rethink their self-identity and build useful new skills such as solving a challenge or problem. 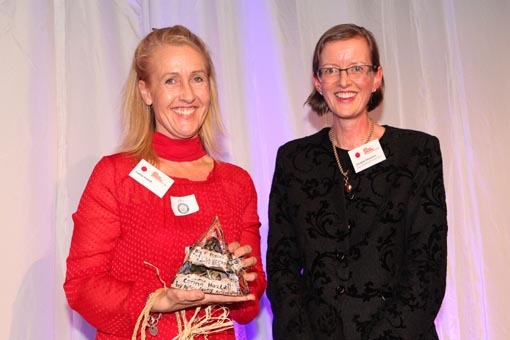 The annual Big ‘A’ Awards allow us all to pause for a moment and notice the innovative and professional recipients whose processes, programme delivery and achievements really stand out. An example of one such arts programme is included in “Young people to benefit from prison art auction”, an interview with last year’s Big ‘A’ Prison Arts Leadership Award recipient Corina Hazlett, an art tutor at Canterbury’s three prisons. Corina offers a best practice model for working with a team of Corrections staff to co-ordinate and develop an art exhibition with art that is produced by prisoners. The exhibition and auction build connections with the community and the funds raised will benefit a community organisation that keeps young people off the streets and provides a safe place for their activities. 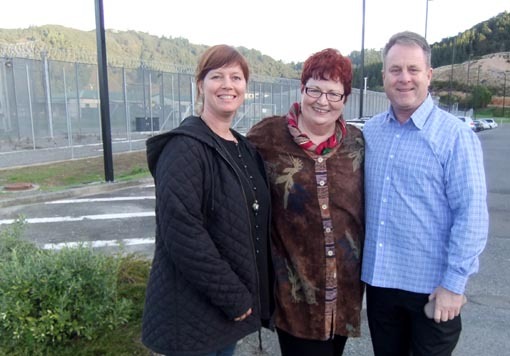 Workshops sessionsI was fortunate to spend time with Geraldine Buckley, a British/American storyteller and creative writing tutor who visited and ran two workshop sessions at Rimutaka Prison. Geraldine is a passionate and talented professional who has turned her skills as a raconteur into an international career. She honed her skills in storytelling and creative writing to benefit prisoners in Maryland in the United States. You can read about the positive results she achieves in “Storyteller shares skills with men in Rimutuka Prison”. There are many ways that arts activities can be delivered to match the needs of individuals and groups in prisons. Art delivery is not just “painting”. Visual art is important but let’s also think about creative writing, drama, music and song writing when Corrections staff are developing their prison arts plans. Having said that, here’s a “shout out” to all those staff who have been helpful in writing and submitting their prison arts plans to our Prison Arts Advisor, Jacqui Moyes. We’re keen to help you deliver arts activities for all the best reasons that benefit prisoners’ rehabilitation. 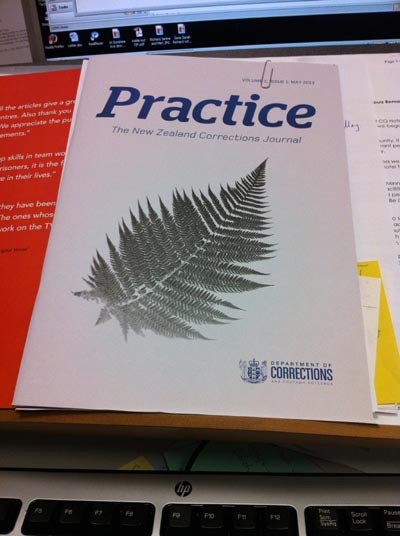 We have copies of “Practice: The New Zealand Corrections Journal” to distribute. If you would like us to send you a copy of the first issue of this journal, please contact Jacqui Moyes (T: 04 802 4349 E: jacqui.moyes@artsaccess.org.nz). Original generation time 1.8828 seconds. Cache Loaded in: 0.0354 seconds.